www.PassportPhotosWellington.co.nz - expert service, guaranteed results. Professional photos for passport, immigration, visa and ID. Instant printing. Digital files available for New Zealand and all international passport and visa photos. Photographer: James Gilberd, B.Des.(phot.). - Photospace, 1st floor, 37 Courtenay Place, Wellington, New Zealand. 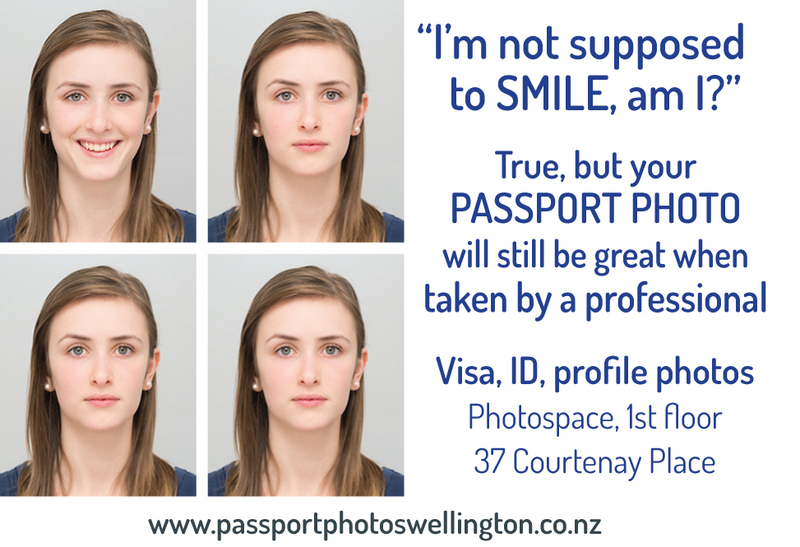 Photospace is the only location in the Courtenay Place area that offers a full range of instant, biometric passport, visa & ID photos. Pay by EFTPOS, Visa, Mastercard, Cash. am available to take walk-in passport, visa & ID-type photos during the times listed below. If you're making a special trip, bringing a baby or your entire family, it's helpful to email or phone 04 382 9502 for an appointment. - Tuesday 30th April - 10am-4pm - just come in. If you need a profile photo for business purposes, you will need to make an appointment, as it's a more complex photo shoot done in the main studio. Photos are guaranteed to work for the purpose they were taken for. We can supply a suitable, tested photo file straight away by email for $20. NOTE: if sending the photo from a phone or other mobile device, ensure you do not further compress the photo file or it may be rejected. Check your settings. Immigration visa photos for New Zealand are now mostly digital files to upload. I can do these correctly and email them to you. Do I need to worry about...? Hair: if you have rather a lot of it, sometimes it's hard to fit within the strict photo measurements. Perhaps bring a hair clip or prepare to tie it back. If you have a fringe, make sure it can be kept clear of your eyebrows. This is a standard requirement for all countries. Glasses are usually no problem but if it looks like they could be, we'll give you photos with and without them on. Some countries do not allow glasses to be worn for photos. Clothing: Avoid white if the photo's background is also white (US, Canada, most Asian countries). Malaysian passport photos require more formal, darker clothing and for the skin to be reasonably covered below the neck. The photo may be rejected if clothing does not meet the standard. Babies over 1 month old are usually no problem, but it can help to pick a time of day when your baby is usually both awake and reasonably settled. (We appreciate babies are not that predictable :-) The same often applies for photos of young children. Prams, buggies, and our stairs. We're up one flight of gentle stairs. There's no lift, sorry. Text or phone me when you arrive and I'll give you a hand to get your buggy up the stairs. 027 444 3899. Sorry, but there is no possible wheelchair access to my studio. Metered parking is plentiful close by throughout the day. We are near the Courtenay Place bus stop and there is a taxi stand just across the road. You're going to be stuck with your NZ passport photo for the next ten years, so it makes sense to get a good one that you're happy with. I am a professional photographer who is also a specialist in passport and visa photos. I use good lighting and a good camera, and I take care to make high quality photos for around the same price as most other providers that are not trained, experienced photographers. Yes, I can do them! If you're making a special trip to the Netherlands Embassy in Wellington for your Dutch passport, you may need photos taken earlier or later than I'm regularly open. This can usually happen. Please email me for an appointment, or phone 027 444 3899. 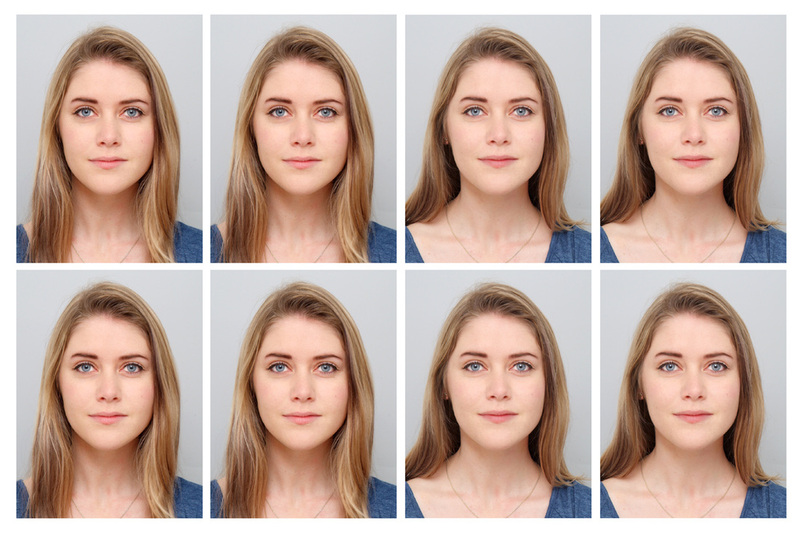 Canadian passport photos - two photos provided, with an extra two for good measure. Info will be written on the back as specified. Canadian visa photos can now be uploaded online with your visa application. Suitable digital files available. Indian visa & passport photos - similar to US ones but grey background, - 51mm square. Digital file available. 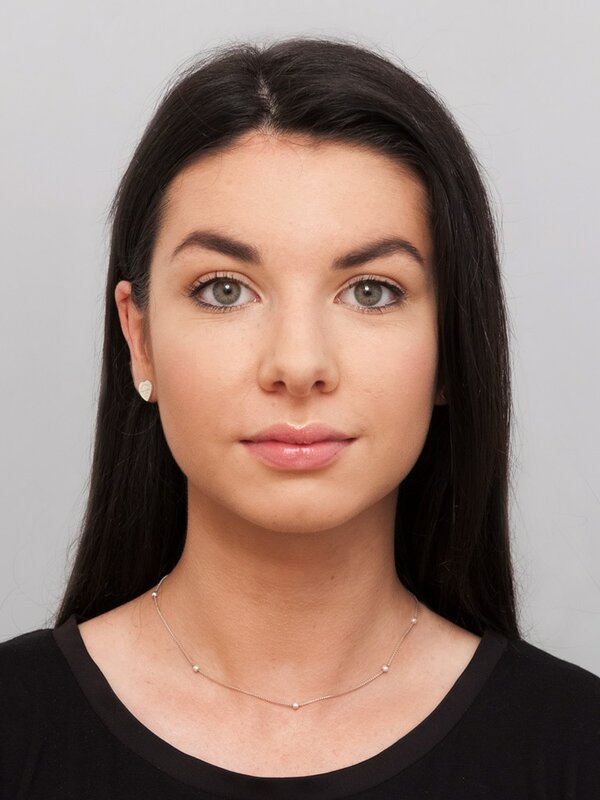 Malaysian passport photos - white background, 35x50mm. See note on clothing, above. Turkish passport photos, 10x15cm print available. Also we do photos for licenses and permits, such as for scuba diving, firearms licenses, martial arts certification, JET applications, APEC cards, medical certification, police checks, international drivers licenses, etc, you name it.